Well, the fears that I had 20 episodes ago are all coming true. This is going to be a tragic story. 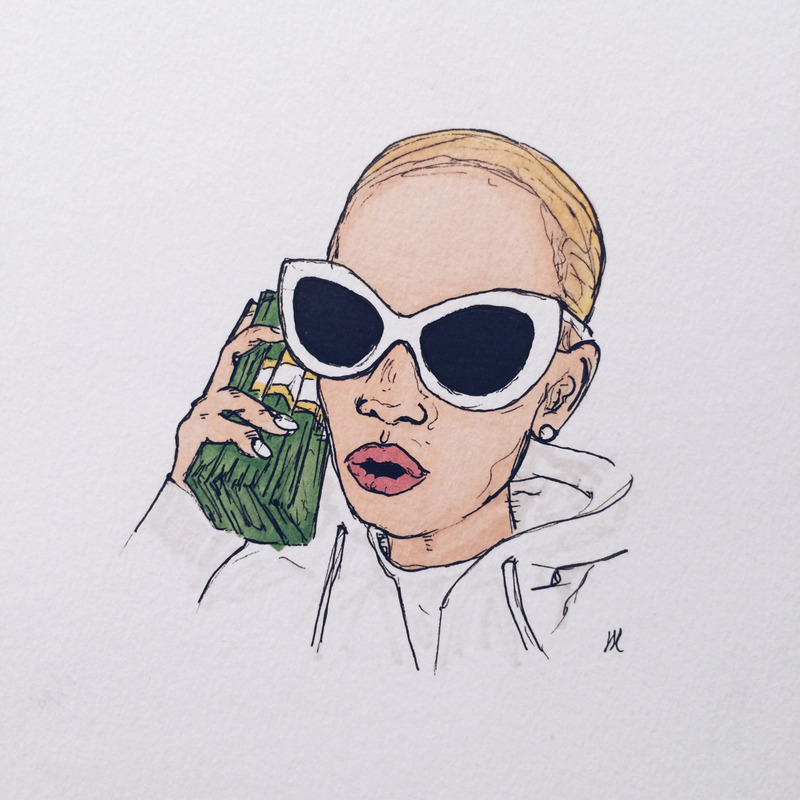 At this point we’ve all suffered so much turmoil, sadness together that I’m glad I started this blog so people can share their sadness and anger together in the comments. At least we’re like a Saturday night support group here now. Well everyone, we went through the stages of denial, anger, isolation, and bargaining – now I’m finally in acceptance. Doesn’t matter that I surf Weibo trying to find a better ending or a glimmer of hope – it’s going to be a tragic ending. 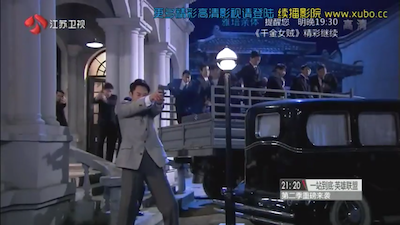 Jiang Xin waits outside in the cold until Bai Lang leaves from the hotel establishment. Am I the only one that melts whenever he puts a jacket over her? He always does it and it’s such a sweet gesture. I wish that someone would do it for me without being asked LOL. 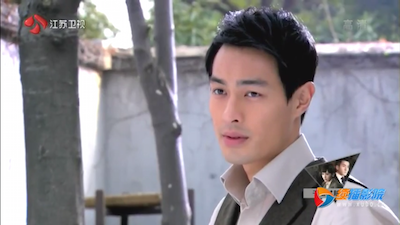 Jiang Xin is relieved that Bai Lang had left Yao Mei Er, and didn’t sleep with her. I’m surprised that Bai Lang fully trusted her strategy of overcoming the lack of machinery, because she usually does not come with very good ideas. We had this very cute (but very small and restrained) moment where they both assert their positions as Mr. and Mrs. Bai. Then we have this scene with Chun Hua professing her love to Shi Tou, and telling him that she’s chosen him over Xu Guan. Xu Guan, even though he ‘lost’, he bought Shi Tou a diamond ring to give to Chun Hua when the time came. At first I’m like, well, that’s cute an all, but why are they focusing on the side characters, especially when screen time is limited? SPOILER: But it’s for the shock factor for when we find out that he was the one that betrayed our dear Bai Lang. When I watched the trailer, I was so angry! 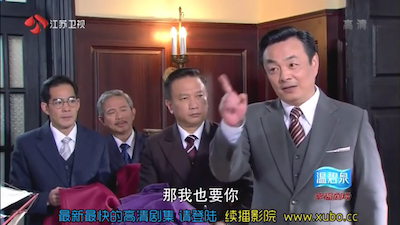 Xu Guan treated you like a brother, and Chun Hua and Bai Lang trusted you. They’ve been nothing but good to you and this is how you repay them?! 忘恩負義!!! HORRIBLE! Du Xiao Han takes care of Jie Wen while he’s blinded, and she’s finally opened up to have conversations with him. Du Xiao Han went to pick up medicine for Jie Wen, and she coincidentally overhears that this pharmacist is also coincidentally the same one ordering poisonous dyes. Oh, not only that, this pharmacist clearly details who he is that he’s talking to: Director Cao, the purpose of the dyes (to frame and ruin the Ye family) and when it’d be delivered. Worst schemer ever. Most people would somewhat censor themselves, especially when there’s someone else in the room, but nope, drama. She takes incriminating pictures of the dye supplier and Director Cao with an old style camera – questionably because even my new Samsung S5 can’t manage take such clear pictures as she did in the dark. Jie Wen regains his vision and reveals that he knew that it was Xiao Han all along. I really don’t mind and actually like Xiao Han at this point. She’s regretful for what she’s done, she’s come to terms with herself, and she knows who she loves and what’s important to her. She’s so much bearable than our female lead – who only cries and realizes things when it’s too late. So much angst towards her. Director Cao brings stakeholders to the Ye family factory to ‘check out the fabric’, but really it’s because he assumes that the fabric is poisoned now, and thinks that his plan went perfectly. I mean… don’t you think that they reveal too much to us in the trailers? They’re not even trailers, they’re actual scenes that are clipped from the next episodes – and they don’t even stop before the ‘climax/resolution’. They’re all long enough for us to find out what problem will arise, and how it’ll play out/get solved. 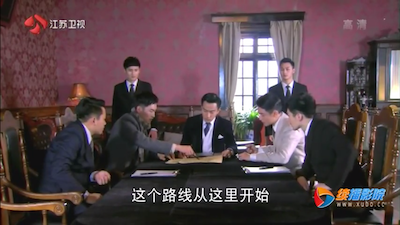 I mean, I would’ve found this scene more interesting if I actually didn’t know beforehand that the Ye family knew of Director Cao’s schemes yesterday, but I calmly just knew that they would get through it and it’s another filling in the episode cake. I don’t know if it’s because of one lazy producer or intern but it’s actually really changed the whole drama experience for me… in a bad way. Bai Lang exposes Director Cao as a scheming d-bag, by arresting the dye supplier, and providing incriminating pictures Director Cao chatting with the dye supplier. The scene plays out like typical villain getting caught and Director Cao sputters “Y-y-y-you!” at Jiang Xin, because drama. Meanwhile, suffering from pressure from the Bai family elders, Bai Lang decides to rob Japanese troops. But one thing – the person that he’s robbing is the same guy back in Tian Jin that kidnapped Jiang Xin, and so Bai Lang concludes that it’s too dangerous to keep Jiang Xin as his wife, because that Japanese businessman will surely recognize her. 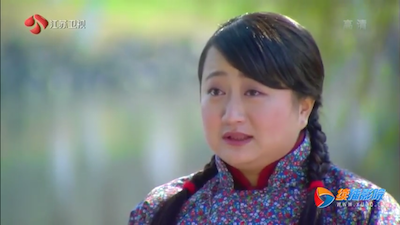 Jiang Xin expresses her apologies and gratitude towards Bai Lang. She finally recognizes that she misdirected her hate towards him, and put him at fault for something that he could’t control. She recognized how he’s done so much for her – bailing out her family business, helping her sell new fabric, and helping her take down Director Cao. I feel like at this point she was trying to express her romantic feelings towards Bai Lang but he interrupted and would only take friendship from her. He loves her but he wants to protect her but keeping their relationship platonic so in case anything happens to him, she’s not sad or feels guilty. Ok Bai Lang’s character is completely unrealistic, very self-sacrificial, but still, can we get the exact same male lead with a different story line please? 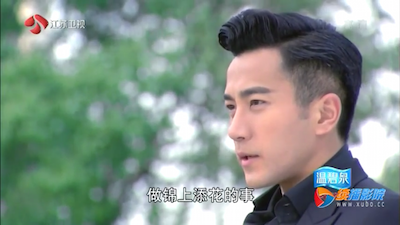 There was a moment where there was fluff in Jiang Xin’s hair and he reached to remove it. They both froze in the moment because it was just such a romantic moment for both of them, and the fluff just flew away. Bai Lang and Jiang Xin celebrate with the removable of Director Cao by getting drunk. Sigh this might be the last sweet scene that they have. They do this very corny cheesy thing when Jiang Xin says things uninhibited. Tiffany Tang’s acting is so bad in this scene. Her ‘sleepy-drunk’ with half opened eyes acting was very annoying and unbelievable. Bai Lang helps passed out Jiang Xin back to bed, but not before he gives her a kiss on the head, and says “I’ll be with you in our next lives”. Melting but with such sadness. Can we actually have a second drama with a good ending that depicts their ‘next life’? And not directed by Chen Yu Shan? Jiang Xin wakes up, hungover, and sees the news: Bai Lang had printed in the newspaper that they were now divorced :'(. Oh it’s begun. We’re heading down that path: the roller coaster of sadness. 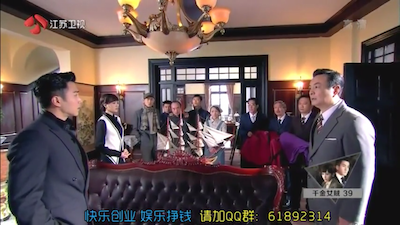 Jiang Xin barges in on his meeting and asks for an explanation. He sends her outside instead, and she stays there in the cold. Now, considering the amount of times that she’s been freezing in the weather outside, you’d think that she’d start bringing her own coat. When Bai Lang comes out at night, even he says “This will be the last time that I’ll give you my jacket”. Obviously he says it in a loving way, but seriously – wear a jacket, homegirl. I’m sick of your sh*t.
Well, you see? After being in the cold for a day (the ground looks suspiciously bare considering that it’s been snowing the entire day), Jiang Xin faints from sickness. After being out for an entire day – she wakes from her mini-sick coma, and Jie Wen is by her side. At this moment I’m literally like, “F*ck c’mon I am so sick of seeing them together”. Luckily they establish that Jiang Xin and Jie Wen only have friendship, and their relationship is entirely platonic. Jiang Xin looks so much prettier without her tacky fuchsia lipstick. 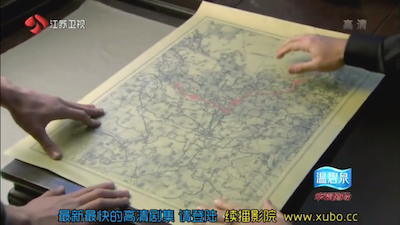 The raid on the Japanese troops was a success, but it was actually a trap set by numerous people: Lei Ba Tian, Shi Tou, and this Japanese businessman that Bai Lang pissed off way back. What did I say? I called it. Lei Ba Tian is not dead and he shows up at the end to bite Bai Lang back. Turns out there were drugs hidden in the money that he stole, and the Japanese called the authorities on Bai Lang, saying that he worked for them (making him look like a traitor) and trafficking illegal drugs. Luckily, the Bai elders got his back and help him escape. 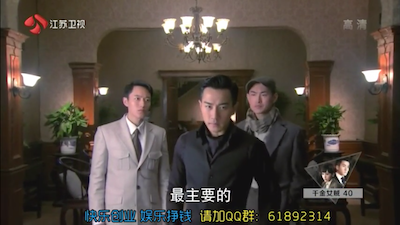 Jiang Xin, Jie Wen, and the whole Bai family crew try to rescue Bai Lang (so I guess he got caught again), and Yao Mei Er suggests that she could help. At this point we don’t know if she’s part of the plan or not (considering that Bai Lang rejected her) but I think she’s good. I think she loves Bai Lang enough to want to save him and want to help. 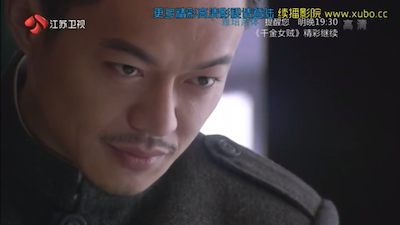 Lastly, Xiao Han (in custody) and Jiang Xin reconcile. Sigh I’m over it. I’ve gotten so disappointed with this drama – it’s like a bad expensive meal that’s almost finished so you’re just making yourself finish it. Maybe it’s good for other people, but I only just wanted to watch the OTP together, and not to watch a string of obstacles and see it end tragically. I told myself that I wasn’t going to watch this. I’m not going to watch it. I have been having nightmares after watching this drama (seriously), I dream jiang xin pregnant and running away and bai lang sacrifice himself and died. Seems like the only sweet moment they will have together is the night she conceives (unless it’s going to be edited) not watching this anymore, I’m just going to read your reviews because reading about what happens is much more bearable than watching. You know what, I actually thought that Xu Guan might have been the bad guy. He seems to act way cooler than Shi Tou. I believe Shi Tou might have did what he did to provide better life for Chun Hua, to perhaps make more money. Seems from opening scenes there is a caption of him with grenades strapped to his body. So he maybe trying to make amends for his mistake, just guessing. Because I still can’t believe he is truly bad. I don’t think Yao Mei Er is bad, I think she is trying to help Bai Lang. He done nothing bad to her except not love her back. She seems genuine, think they are able to free Bai Lang (temporarily) and this will be when JX and BL spend night together before he gets captured again/dies. OMFG……why can’t they just play all the episodes already! I can’t take this anymore. I don’t even understand Chinese and this drama is already eating me to pieces! 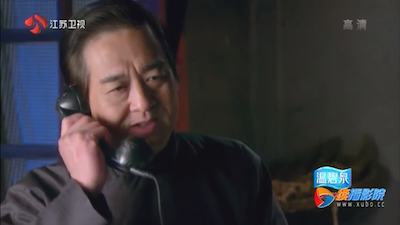 Soooo sad when papa Jiang died. 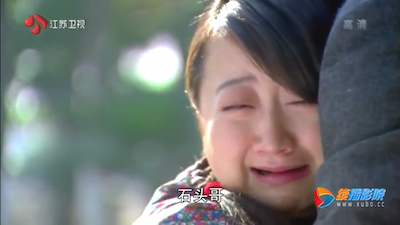 Now just devastated that loyal Xu Guan and even Yao Mei Er sacrificed for Bai Lang! *stops to breathe again* Just some damn drama and I’m crying all over the place. Hate this drama….!! Oh my god I watched the trailers. Shi Guan pretend he is bai lang and blow himself up *cries* and what happen to Shi Tou how he turn so evil and so hate filled towards bai lang?! Just stumbled across your blog a couple of days ago and I wanted to thank you for posting your episode reviews! It gives me a reassurance in my understanding of what’s going on (my Chinese is not very good)! Nooooo. I’m still hoping they will give us a happy ending. Chen Yu Shan thinks that bai lang fans will be content with his legacy living on in him and JX child. Why won’t she give us a good ending!!!! I hope it’s all a hoax and that at the end they will give us a happy ending! After watching this series I realise hatred plays a big part in this drama. If Jiang Xin can be so forgiving (like she does now with Xao Han) then the ending would not be like this. Why did she say hateful things like “give me back my old life”. Why did she not mature earlier? Why now when it’s far too late? She will live life with regrets. Because of her hatred she will lose the love of her life. It makes me laugh how easy it was for her to forgive Xao Han, considering she is the one that murdered all her family. Come on, even Jie Wen became a better, and forgiving person. Makes me laugh how the female lead is so stupid until the very end. I even prefer Yao Mei Er more than her! At least she knew what she wanted and even though bai lang did not love Mei Er, she did not hate him. This makes her a more forgiving character than JX. So why does JX act like such a victim all the time?! I know! That’s what I thought too when he revealed himself. He had so many opportunities to get revenge on Bai Lang (especially back when they were in Tian Jin and Bai Lang was in trouble) but he didn’t. 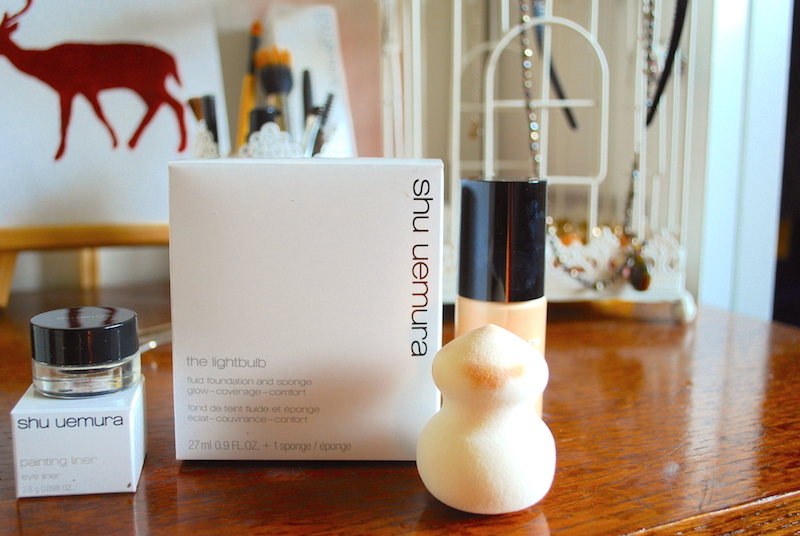 Oh well… dramas right? I think Bai Lang was the only one that was not greedy or held grudges – I think he just wanted the best for Jiang Xin all along and he was quite selfless, especially towards the end.